The user has a choice when creating a data source connection to a database. 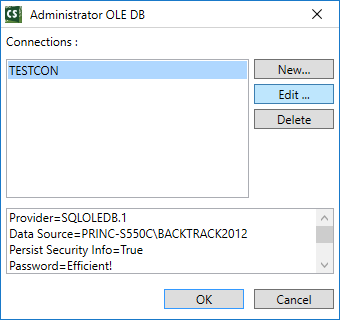 They can use an existing Windows ODBC connection or create an OLEDB connection (see ODBC vs OLEDB Data Source article for more information). If using an OLEDB connection, they must either use CODESOFT to change the parameters or directly edit the file that stores the parameters. Doing this is often helpful when a database name, location, or login parameters change. All labels that use that changed OLEDB data source will use those new settings on the next print run. 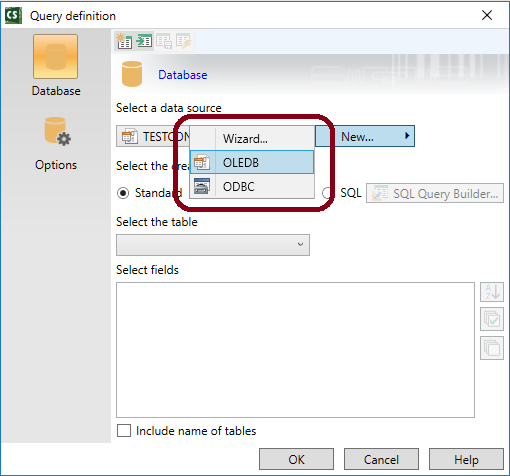 This Instruction Article explains how to change CODESOFT generated OLEDB data source settings for a CODESOFT label. Check to see if the data source connection is a CODESOFT generated connection (i.e. settings stored in a CODESOFT .udl file). TEKLYNX calls this an OLEDB connection. Look for the file icon next to the data source on the list. If you see it, then it is a CODESOFT generated OLEDB connection. If not, it is a Windows ODBC connection so this article does not apply. Have parameters for new data source ready (e.g. new server or database name, valid login ID and password, etc.). Verify access to the database using parameters above work (e.g. 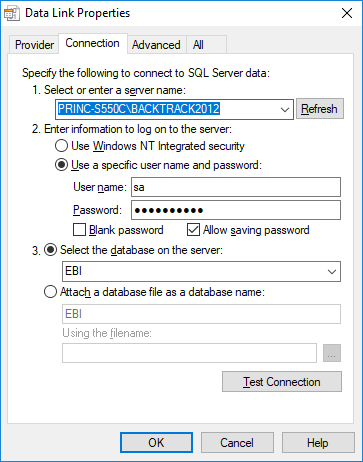 connect via SQL Management Studio). Use CODESOFT to edit the file settings – easiest but not always possible. Files locked as approved in LABEL ARCHIVE or TEKLYNX CENTRAL may not allow the user to change the settings without saving the label outside the database. Change the .udl file contents directly – this is done via a text editor (e.g. Notepad) and not generally recommend since unless it cannot be done via CODESOFT. It lacks the connection testing features and makes user error much easier.